Please register either on our new WEBSITE HERE or in-person at Moss Park Arena in the House League Office. To finalize your registration, bring your child’s birth certificate to confirm birthdate. You can also upload a photo of the birth certificate to the website during online registration process. Players are on the ice in full hockey equipment as of Saturday September 15 to start with evaluations by the coaching staff. Please bring your child fully dressed in their hockey gear at their age related evaluation session run by our coaching staff. Please come 20 minutes before to ensure they are dressed and ready to be on the ice on the hour. This is the first of two evaluation sessions. Players must come to both sessions to ensure the coaching staff have sufficient time to assess their skill level and align to a team for a balanced and fair hockey season. This is the second of two evaluation sessions. Players must come to both sessions to ensure the coaching staff have sufficient time to assess their skill level and align to a team for a balanced and fair hockey season. 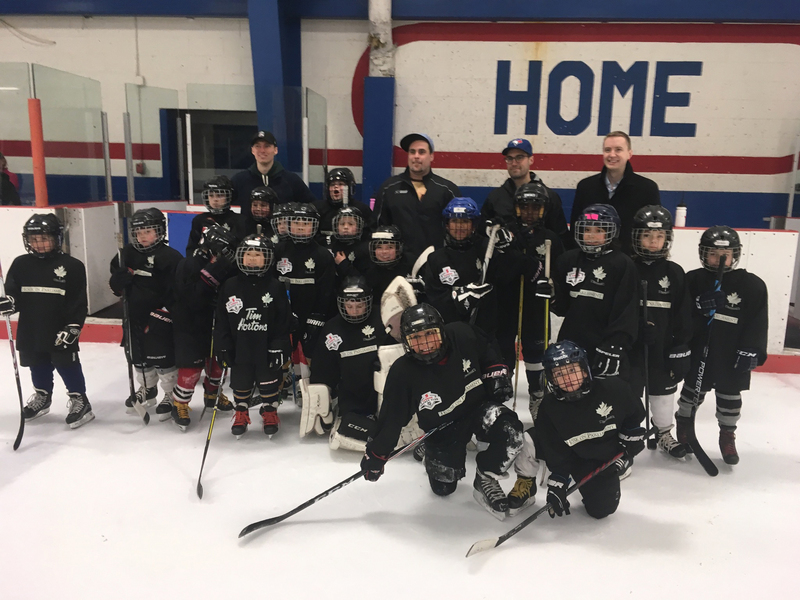 This is the first fundraising event for players and their families to support Moss Park Hockey League to keep it the only free hockey league in Canada. As in previous years, we are selling cases of chocolate covered almonds from World’s Finest Chocolates. All the profit from the chocolates goes directly to support the cost of running MPHL. Cases can be picked up at the House League Office on Saturday. We ask that you prepay for your cases. Contact the office for any questions or EMAIL US HERE. You will be contacted via email 2 or 3 days before this practice game to let you know the aligned team number and time for your child. This practice game will help the coaches confirm skill level of the players in a game setting. Once the full player evaluations are completed, coaches or administrators will be in contact with you via email again to confirm the final team and league. MPHL provides the photographer for team photos. Photo packages are for sale to families. Thank you plaques for our sponsors are also provided by photographer. All proceeds from the raffle go to MPHL. Each Player must have signed skate-a-thon form (waiver form). All skaters under the age of 18 must wear a helmet. Adults may skate with their players during the skate-a-thon. If your child is not playing in the All Star game, they are welcome to participate in the skills and drills activities.